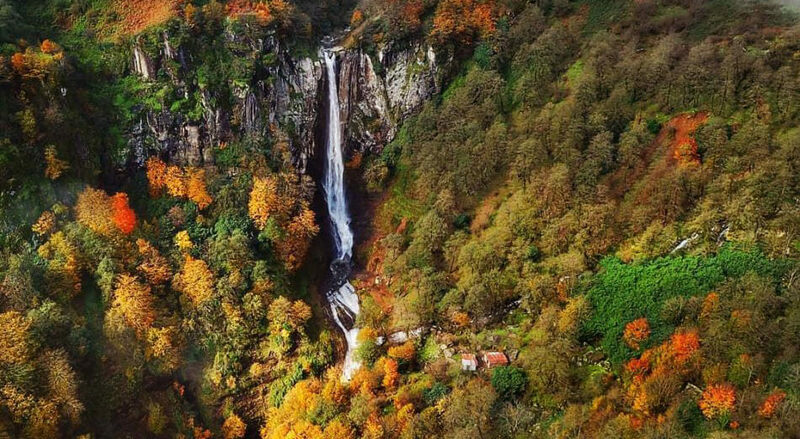 If you are a fan of long walks in the woods, and you want to experience everything in nature, come with us to the Laton Waterfall in Gilan. 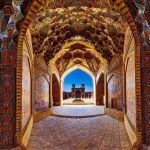 We want to show you one of Iran’s natural masterpieces and show you pictures of it. 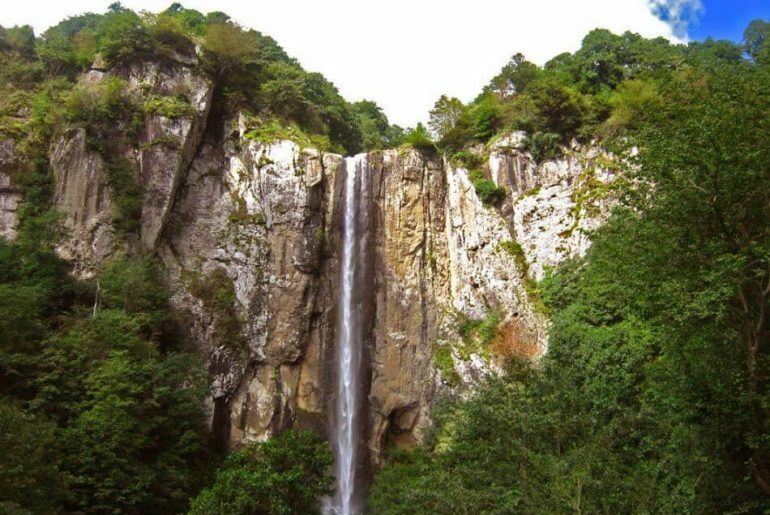 The special feature of this attraction is that it is known as the tallest waterfall in Iran, and of course, the beauty of the path to Laton Waterfall is also one of its attractions. Known as Iran’s tallest waterfall it is one of the most beautiful natural attractions in Iran. Getting to Laton Waterfall is a trip in and of itself because the trail is also spectacular. It is also an attractive option for camping. 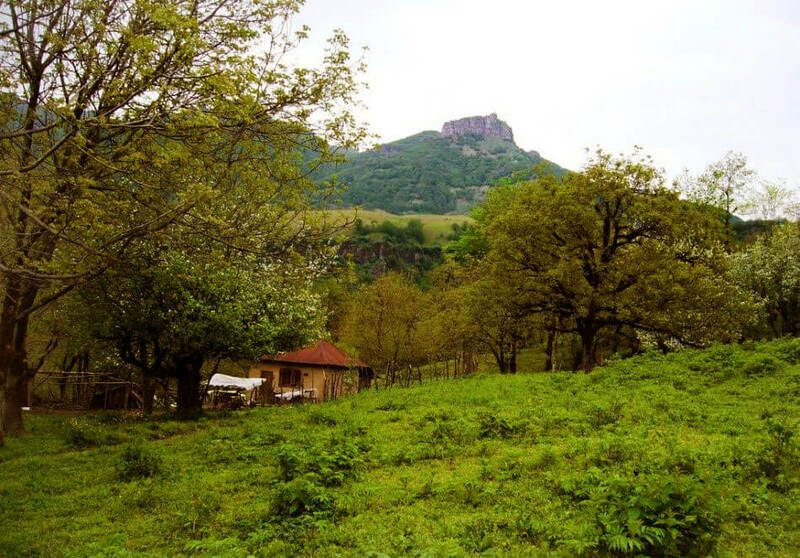 To get there we need to go through Astara and get to Lavandevil and Kuteh Kumeh Village, but that’s not all. To reach this beautiful waterfall, we have a beautiful path ahead of us; it’s about 4 hours of walking in the woods and passing through the hills, which should take place alongside people who know the terrain, but it is undoubtedly worth the effort. When you think about the destination, the trip becomes easy and pleasant for you, though hard it may be. Of course, you can hitchhike and skip the trail or a part of it with a pickup from the locals. On the way to the waterfall, we go through a mountain range and go to the heart of a lush forest. On the outskirts of the road, the Lavandevil River flows and leads us to the pastures. We deal with fatigue and thirst by drinking a sip of spring water and a short rest in the middle of the way. After passing through all the beauty, with a 750-meter-high elevation, Laton Waterfall reveals itself to us. There is still 500 meters to go, but the beauty and splendor of the waterfall rejuvenate us.On the way to the waterfall, we go through a mountain range and go to the heart of a lush forest. On the outskirts of the road, the Lavandevil River flows and leads us to the pastures. We deal with fatigue and thirst by drinking a sip of spring water and a short rest in the middle of the way. After passing through all the beauty, with a 750-meter-high elevation, Laton Waterfall reveals itself to us. There is still 500 meters to go, but the beauty and splendor of the waterfall rejuvenate us.